Lisa says, "Always remember the travel "F" word--FLEXIBLE!" Wondering where to wander for a savory feast at lunch in the San Fernando Valley? 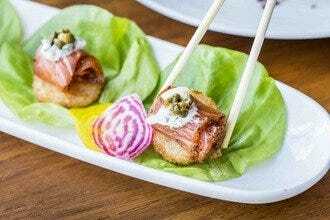 Ventura Boulevard has so many delightful and tempting options.Lunch may not always be considered the most important meal of the day but you can find an adventure on the boulevard in the Valley. 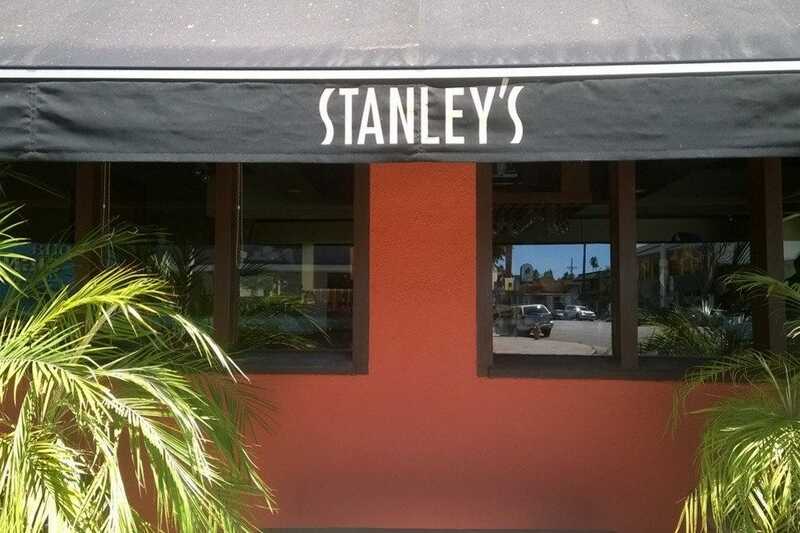 My family moved to Los Angeles in 1971 and we still eat at some of our original favorite locations. I also wanted to share a few new venues that you should not miss! You will find on my list: my new discovery, Jeffrey Saad’s Modern Mexican food at La Ventura, Granville which is just about to open a boulevard location and one I have loved since I was a little girl, Mogo’s Mongolian BBQ which is a block off the boulevard but I just had to include it! 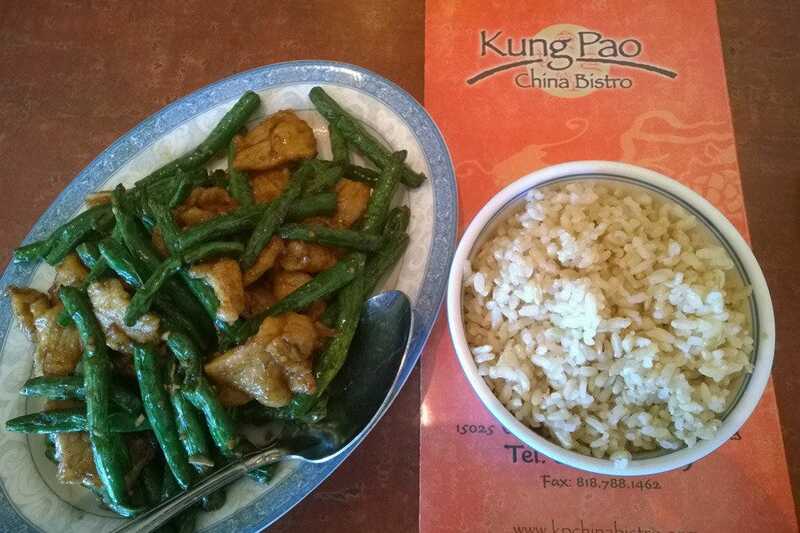 I love to go to Kung Pao China Bistro with a friend and split two lunch specials. 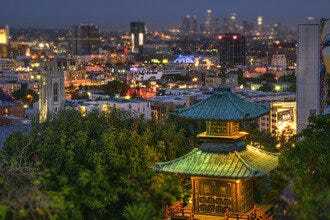 Kung Pao China Bistro has tasty food and a patio that feels like a private garden even-though it is right on busy Ventura Boulevard! I highly recommend the lunch special of chicken and string beans, which is only $6.75. Actually all the lunch specials with chicken are $6.75 from 11am-3pm Monday to Saturday. 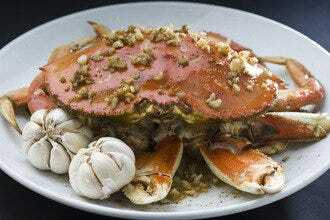 For Beef dishes, $7.25 and Seafood $8.25. 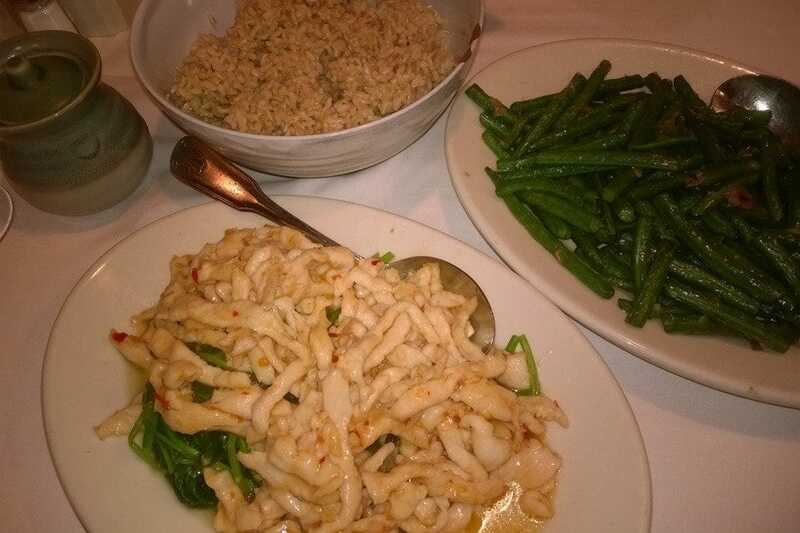 I really like the sautéed string beans and sometimes order the dinner portion at lunch. This restaurant is reliable, friendly and fast. They also have delivery. Granville is great for anyone who is vegan, gluten free or has special requests. The Villagers (people who work at Granville) make each guest a top priority. The level of service is impressive. During lunch on weekdays, you order at the counter and then they give you a card so if you need something (more water, different sauce), you simply put the card in a stand and a Villager promptly comes to see how they can be of assistance. Come for lunch and find a revolution in food. 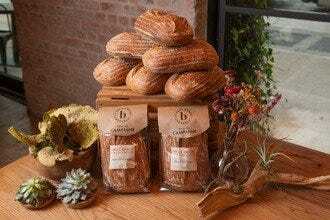 Every ingredient is of the highest quality and many are either hormone free, artisanal or organic. In most cases, they pick sustainable as well as organic choices. I think at Granville they say it best, they are "upscale yet unpretentious, satisfying yet wholesome, gourmet yet generous." 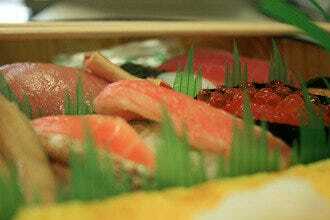 This is quality gourmet food that is affordable and pronounceable. 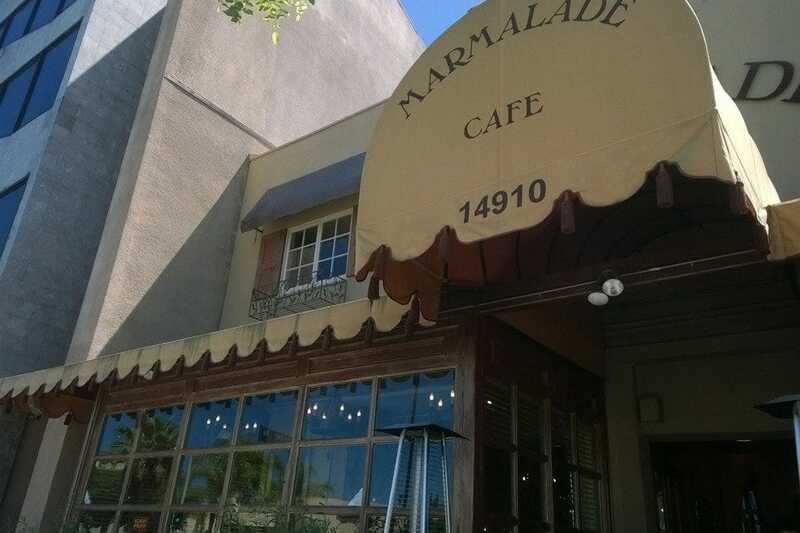 Marmalade has been satisfying hungry Angelenos for nearly twenty-five years. Ready for comfort food? The Grilled Cheese on La Brea bread and Tomato Bisque are phenomenal. The salads on their menu are available full and half size. Order the full if you are sharing! Their "fresh, high quality, eclectic California inspired food" has been a hit in all nine locations. It will feel like your favorite spot from the moment you walk in. They also have specialty holiday menus and you can order the food and eat it at home! 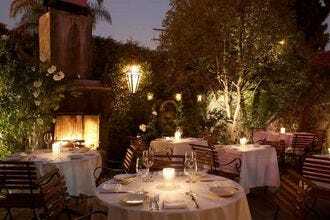 It is the first place that I have seen with a Valentine's, Fourth of July and Halloween Menu! 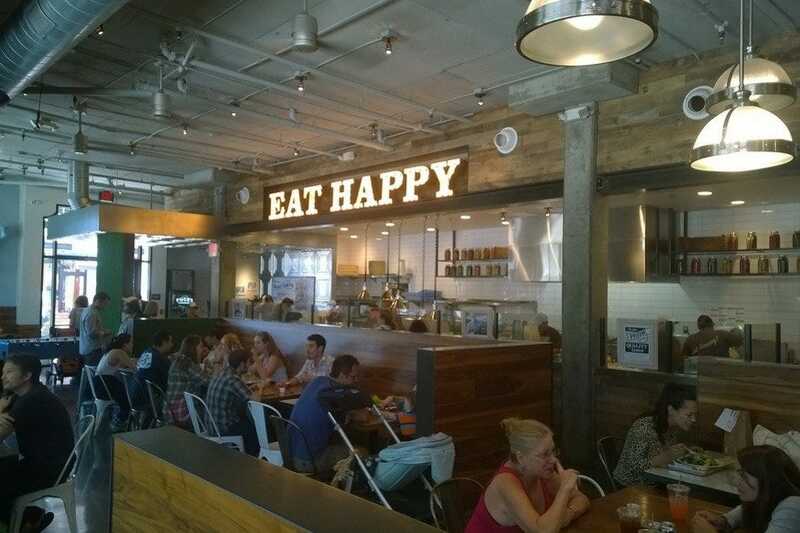 Mendocino Farms is springing up all over Los Angeles. I love their location on Ventura Boulevard next to Islands. The decor, ambiance and greeter who helps you order your sandwich masterpiece is combines for a great experience. I also like to sit at the table near the cow (statue). I think Chef Judy Han sums up the secret to their sandwiches when she says: "Use great ingredients, balance their flavors, then add a bit of whimsy." Stop by to see why this restaurant group is rapidly expanding. My recommendation is the Chicken MBT: "Not Your Typical Basil & Tomato. shaved, roasted free range chicken breast, local Gioia fresh mozzarella, house marinated red peppers, basil pesto, tomatoes, balsamic vinegar, Scarborough Farm's greens on ciabatta." Yum. I first found Take A Bao in Century City but recently discovered them in a stunning Studio City location. 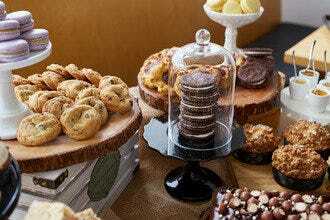 Eclectic choices fuse together tastes from several countries and can be paired with unique drinks for savory sensations. This location is Baos with a twist. They combine flavors from all over Asia in one architecturally satisfying location. I was first here for a party on the patio, bring some friends and sit outside on the patio to enjoy your food and atmosphere. 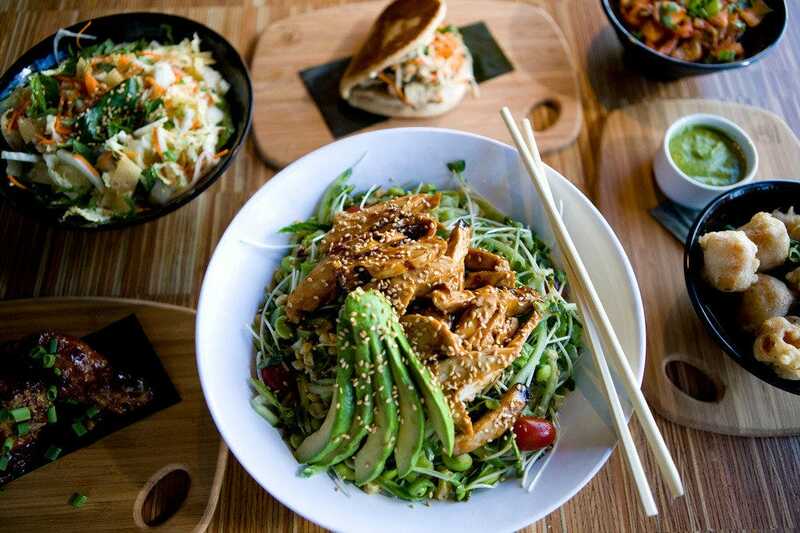 Try the Thai Peanut Chicken Bao, Chinese Chicken Salad, or Crispy Panko Crusted Fish. I did not save room for dessert but I want to return for the "Bao's More:" fudge, marshmallow & graham cracker in a chocolate bun! This family friendly restaurant is always busy because the food is so good! Bamboo's Chinese cuisine includes "culinary creations from the major regions of China" including Mandarin and Szechuan dishes from my favorites of mushu chicken to the tasty chow fun with black bean sauce. 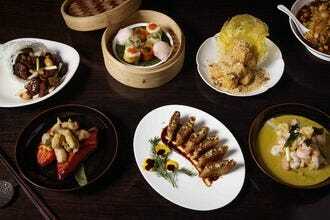 Try the whole crispy catfish, spicy eggplant or the garlic jade chicken. My family has been eating here for decades and I highly recommend it. I love the statues, decor and fountain by the front door. There is a full bar here if you want to imbibe with your meal. Order a few dishes to share as the menu says: "We believe that variety is the keystone of a great meal." 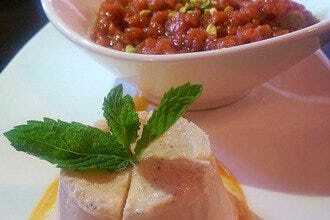 Looking for delicious omni-, carni-, vegan & vegetarian cuisine with unusual flavors? Hugo's could be your new favorite organic flexitarian restaurant. I like the Asian Stir-Fry but am intrigued by the "create-a-plate" where you can design your own unique meal. My friend, Betsy, loves the bottomless ice tea! Do you love oolong, chai and green tea but never get enough choices? The menu at Hugo's has 17 types of tea you can have shipped to your own home! 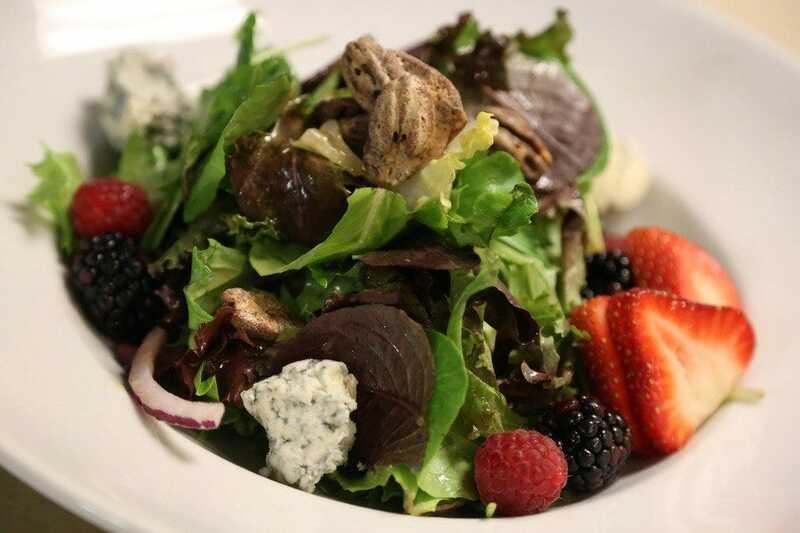 Hugo's offers healthy choices that do not require you to skimp on taste! Try all the locations in Studio City, WeHo, and Agoura and become a Hugonaut. 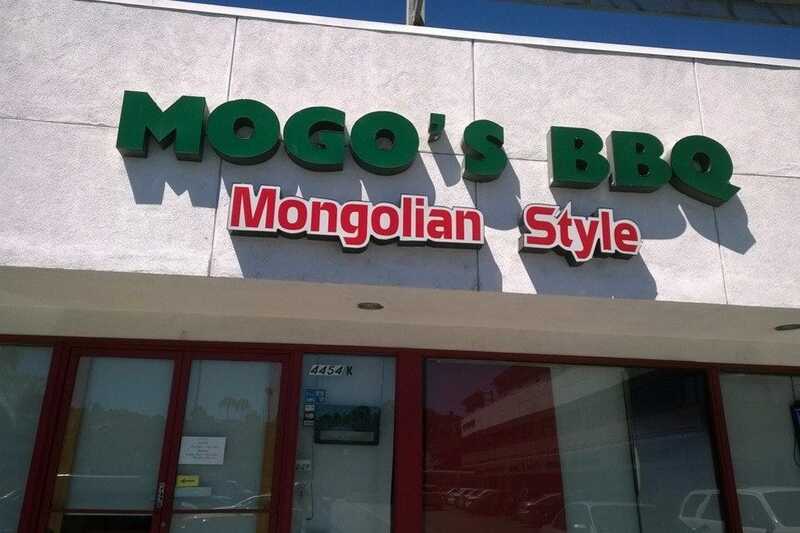 Mogo's Mongolian Barbecue has been an institution in my family for decades. I love the one bowl buffet at lunch or the all-you-can-eat at dinner. 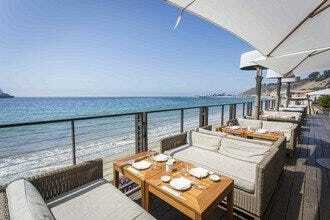 Family and friends who have moved away from Los Angeles, always want one meal here on vacation! The restaurant has removed nuts and peanut oil from being cooked on the grill, so you can eat here even with a food/nut allergy. The Mogo's team is friendly and can accommodate large groups easily. I ate at a Mongolian BBQ in Ulaanbaatar, Mongolia called BD's which was similar to Mogo's however everywhere else in Mongolia was very different! I do recommend you plan to visit the Gobi Desert, the vast expanse of nothingness is exceptional. 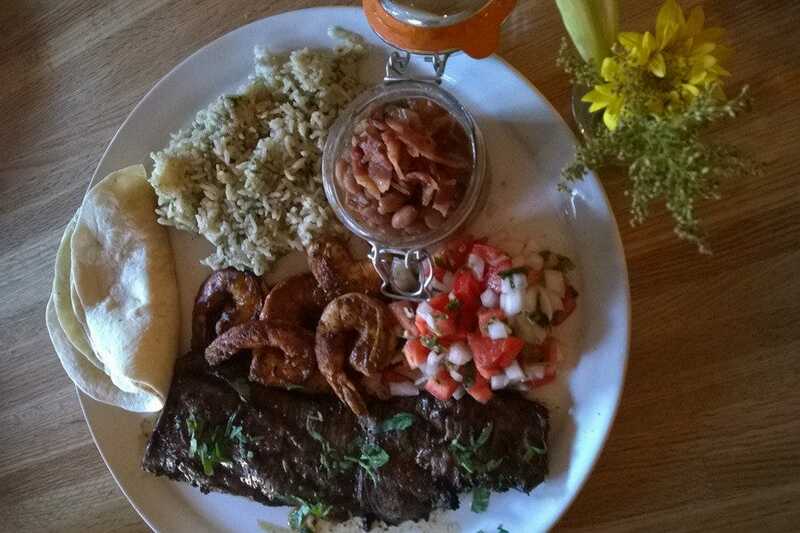 La Ventura's modern Mexican food was a wonderful mix of flavors and foods. Did you know that Chef Jeffrey Saad was the host of Spice Smuggler on the Food Network and United Tastes of America series on the Cooking Channel. I loved that his television goodness is now available right on Ventura Boulevard! Enjoy guacamole, chips and the la Ventura special margarita with Herradura double barrel Reposada tequila-- with agave harvested by Chef Jeffrey Saad. I fully enjoyed everything and highly recommend you visit right away. I do not normally eat dessert but the homemade Salted Caramel Ice Cream and Churros with piloncillo caramel and chocolate dipping sauces cannot be refused!